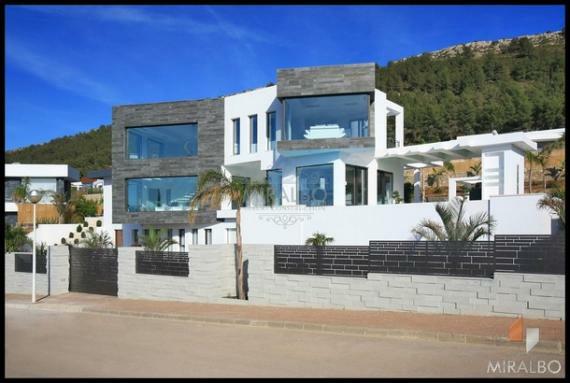 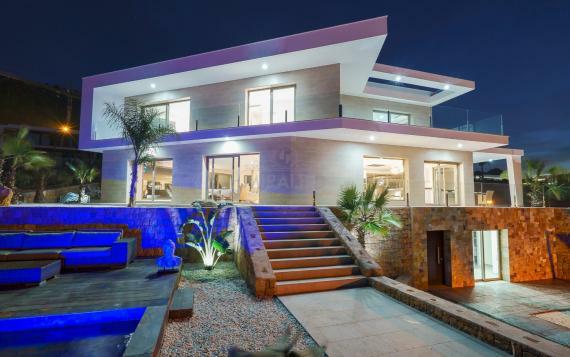 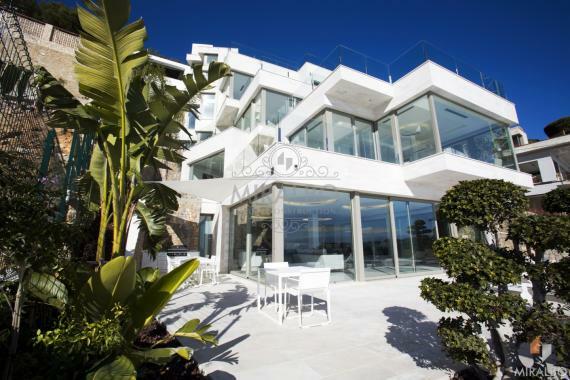 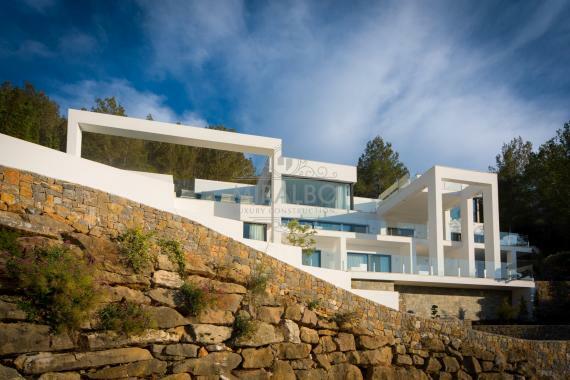 This unique and modern house, built in 2014 to the highest standards and finishes, is located in the area of Monte Olimpo, Javea on the Costa Blanca. 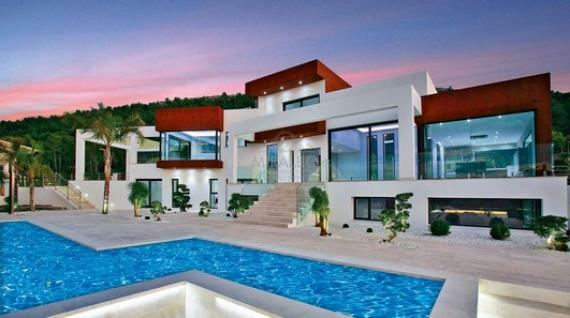 It is a villa with style and charm. 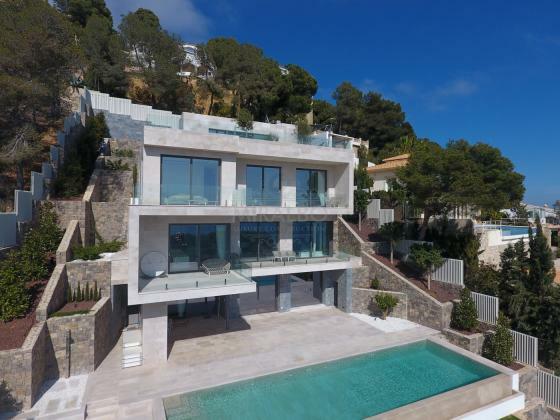 It is located near the leisure areas such as Javea Golf club, restaurants and a number of coves and beautiful beaches, symbol of this charming area. 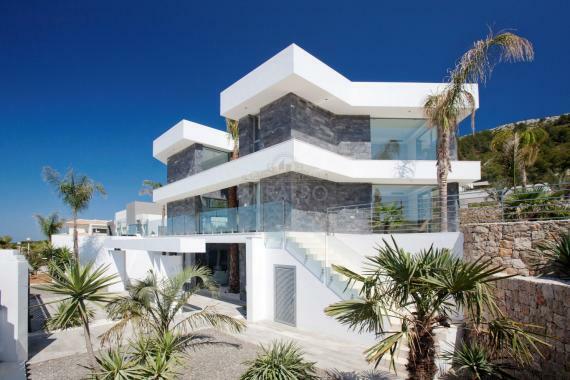 The property is located in a privileged position and enjoys a lot of privacy, style and spectacular views to the sea. 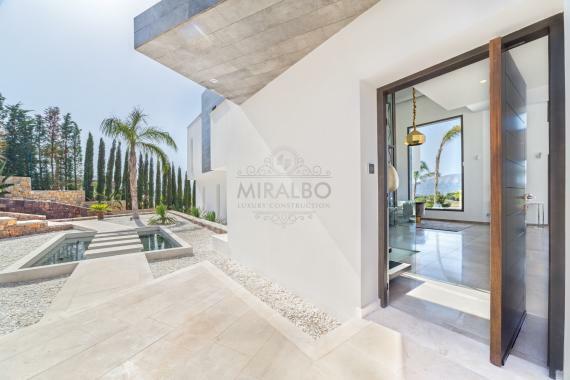 The villa with a total floor area of 200m2 sits on a flat plot of 1000m2 and enjoys privileged views toward the Mediterranean Sea from the first and second floor of the house. 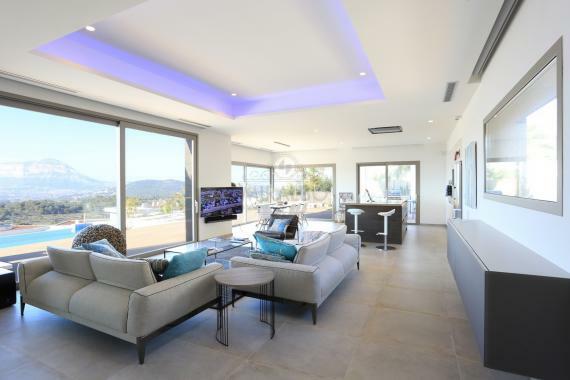 The property is distributed over 3 floors and features a spacious and elegant living room with panoramic windows, a modern Italian design kitchen and three bedrooms en-suite. 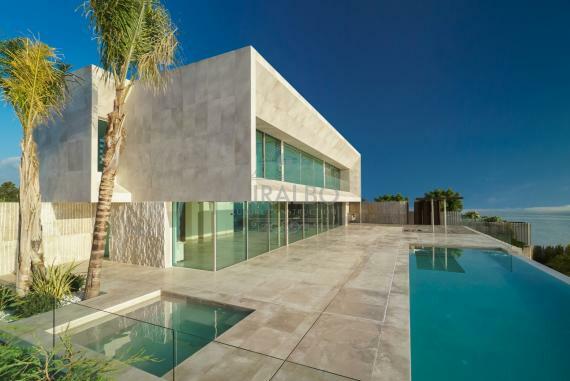 The property has a total of 64m2 terrace, an elegant 10x4m infinity pool, a barbecue area and an outdoor shower. 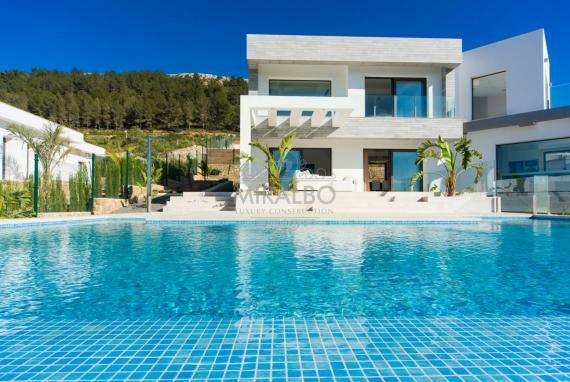 For the winter months the villa has a spa area at the bottom of the house, with its indoor pool with sauna, for your relaxation.